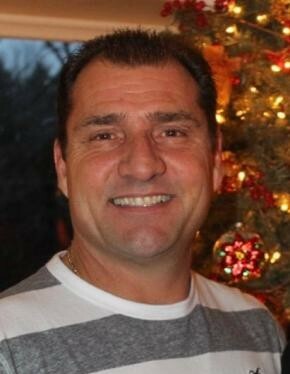 Services were held privately for Salvatore Nicola Uvenio age 52 of Whitehouse Station NJ. He passed away tragically at his home on Friday September 21, 2018. He was born and raised in the Bronx New York. He worked at Freemans Decorating Company. He was a hard working man that would do anything for his family. He was an amazing father, brother and uncle. Family meant everything to him. He had a big heart filled with love and laughter. No matter what was going on he would manage to make everyone in the room laugh. He will now forever watch over us from above. He is preceded in death by his beloved parents, Nicola and Lulu Uvenio and sister Antoinette Mandarino. Surviving are his two cherished children, Salvatore and Loretta. Also surviving are his loving sisters, Frances Uvenio and Helen Uvenio, as well as his nephew and nieces Tony Uvenio, Kristen Bressan and Jacquelyn Bressan. Sal also leave behind numerous aunts, uncles, cousins, nieces and nephews.